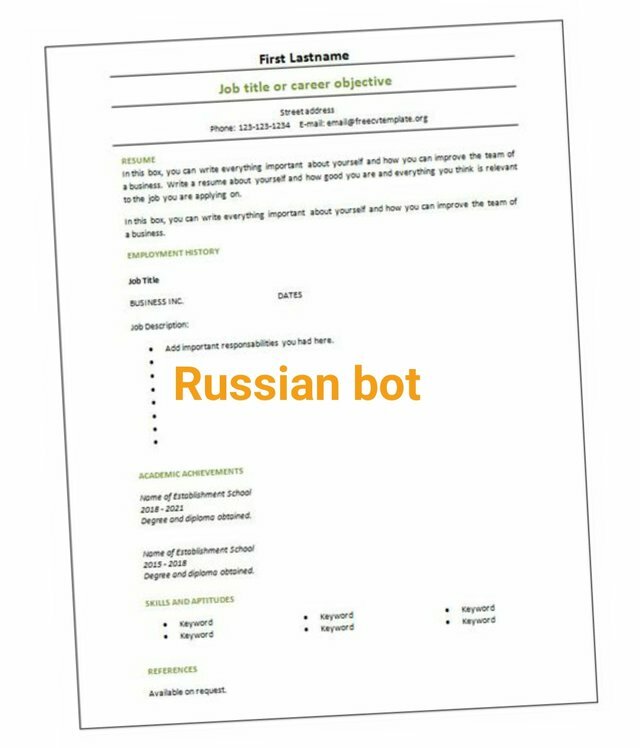 As I'm always being accused of being one, I've decided to add Russian bot to my C.V. If anyone is interested in offering me a job then please leave a comment below. Congratulations @danielgreen! You received a personal award!